How to export fresh produce from Kenya: Boniface Mulandi, the technical training and standards and compliance officer at the Fresh Produce Exporters Association of Kenya (FPEAK), identifies fruits and vegetables as the best bets for beginners seeking to enter the export market. For vegetables, one should go for cucumbers, spinach, kale, amaranth, cabbages, cauliflowers, tomatoes, peas, French beans, broccoli, radish, egg plants and pumpkins. “Fruits such as pineapples, bananas, passion fruits, citrus, avocados, mangoes and pears sell like hot cake in the market,” says Mulandi, noting only farmers certified to start growing horticulture crops are allowed to join the association. Tuber crops such as carrots, beetroots, arrowroots and potatoes are also best bets, besides flowers and ornamental plants and herbs like mint, basil, bergamot, chamomile and chives. Mushrooms also do well in the lucrative market. Once one has identified the crop to farm, the next step is mastering Good Agricultural Practices (KenyaGAP), which must be adhered to as they determine whether the produce will get to the export market or not. The practices are grounded on the Global Good Agricultural Practices (GlobalGAP), which are recognised by fresh produce markets and growers worldwide as a measure for achieving a sustainable production. GAP guarantee’s consumer safety, environmental conservation and social welfare. “Before planting, test your soils to ensure they have the right ingredients, use certified seeds, ensure the water you use is clean and free from harmful heavy metals, the farm should be free of pests and diseases and use approved and recommended measures in pest and disease control,” says Mulandi. Other measures include proper fertiliser application so that the farmer does not contaminate water sources, keeping records, avoiding environmental pollution through use of dangerous chemicals, having produce traceability measures and minding the welfare and conditions of employees. The Horticulture Crops Directorate (HCD), alongside certifying bodies such as Africert Ltd, is charged with ensuring GAP conditions are met before a farmer is issued with a compliance certificate, therefore certified to start cultivating fresh horticulture produce for export. The farmer wishing to export produce contacts HCD so that the agency checks on the requisite conditions on the farm before certifying the farmer. The certificate helps a farmer to seek a contract with any of the various aggregating and exporting companies such as Homefresh Horticulture Export Ltd, VegPro, Planet Associates and Keitt Exporters Ltd, among others. Mulandi notes that FPEAK and partner organisations normally help to link farmers with prospective exporters and, through their extension officials, offer training. The exporter-farmer agreement contract specifies the type of fresh produce one would supply, quantity and time frame for making the supplies. “Before exporting, ensure the produce meets the requisite standards for the markets you intend to pursue. This is where we come in,” says Antony Otumba, a plant inspector for Kenya Plant Health Inspectorate Service (Kephis). Kephis works with exporters, who in turn deal with their farmers based on the tracking and traceability feature. “Any produce found to be non-compliant or contravenes the standard rules such as presence of quarantined pests and diseases and grown using chemicals deemed unsafe, is denied entry into the target export market, shipped back at the farmer’s cost or destroyed,” says Otumba, adding Kephis normally examines produce and issues phytosanitary compliance certification. This is a greenlight for the farmer to export. The certificates are in turn checked and confirmed against the fresh produce when it reaches the destination market. In the import value chain, Kephis ensures diseased plant materials and produce do not get into the country. So what quality should export produce possess? “It should be uniform in aspects such as size, colour and shape and level of ripeness in case of fruits, aubergines, and chilies,” says Mulandi. The farm produce should be free of any chemical traces, pests and diseases, lack any soil or dirt residue, should not be wilted and packages must be well-labelled, with the names of the farmers, exporters and quantity indicated alongside the produce traceability feature. “The traceability feature helps in identifying the source of the fresh produce in case need be, to increase transparency in the horticulture value chain,” says Morine Aringo, who works with the National Horticulture Traceability System (HTS), which is backed by USAID’s Kenya Agricultural Value Chain Enterprises (USAID-KAVES). Only exporters use HTS. It is downloadable from Google Playstore for android phones. When the farmer delivers produce to the collection point, a mobile farm journal application is first used to register her farm’s data such as location, size, inputs used, and the cultivating, planting, and harvesting information. The tracking system then captures details of the produce delivered such as its size, quality, quantity and level of ripeness, among others. It also gets other details like the farmer’s identification, the delivery vehicle’s number and date and time of the produce’s delivery. The produce is then processed, packed, and tagged with the label containing the unique traceability code that can be used to retrieve any information about it. Major pests that attack horticultural produce, locking it out of the export market, include white flies, thrips, leaf-miners, mites and caterpillars, which attack all crops and fruit flies, which mainly infest mangoes and oranges. 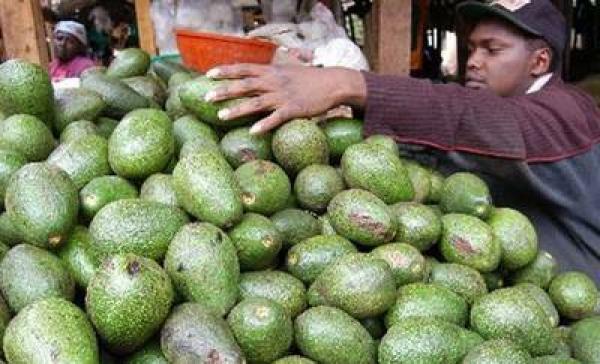 In the export market, a kilo of mangoes, avocados and French beans go for between Sh. 140 and Sh. 200. The same produce fetches between Sh. 50 and Sh. 80 in the local market. Horticulture is one of the biggest and most lucrative sectors in the country, generating nearly Sh. 100 billion annually and creating jobs in the value chains. Agriculture accounts for 65 per cent of the country’s export earnings and horticulture generates the bulk of these earnings, with income from tea, coffee, sisal, pyrethrum and cashew nuts, among others, making up the rest of the sector’s returns. Kenya’s horticulture export market is mainly the European Union (EU). Boniface Mulandi says two membership categories exist at the Fresh Produce Exporters Association. These are ordinary for exporters and affiliate for service providers, such as transporters. For ordinary, the institution deals with companies and cooperatives and not individual farmers. One fills an application form available on FPEAK’s website, attaches a copy of certificate of incorporation, copy of KRA PIN and a copy HCD export licence. Once pays a one-off registration fee of Sh. 20,000. 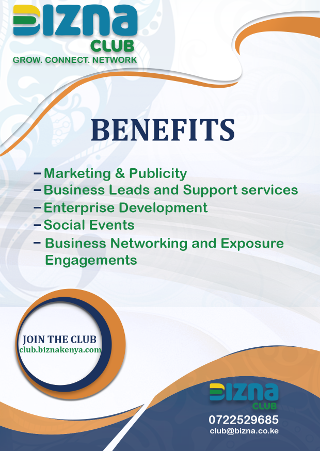 Annual subscription, however, is dependent on free on board value for the exports delivered. Organically grown crops fetch premiums in some markets in Europe and the US.